UNIST Rowing Club picked up 2 Silver medals and 2 Bronze medals at the 58th National Rowing Championship. UNIST Rowing Club wins 2 Silver medals and 2 Bronze medals at national rowing competitions. 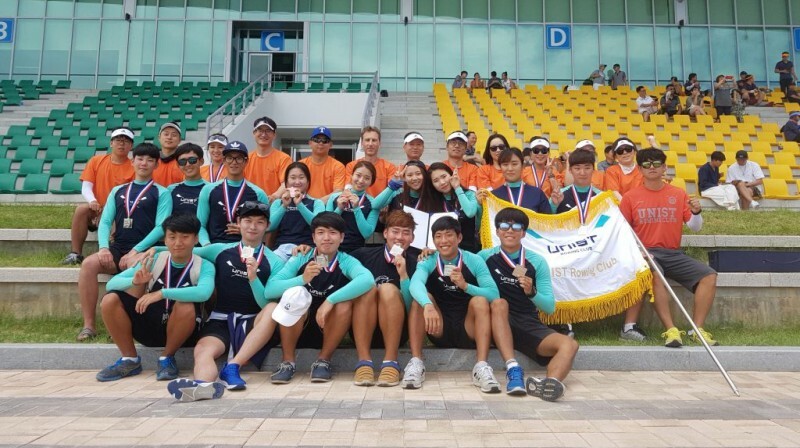 UNIST Rowing Club competed both at the 58th National Rowing Championship and the 2nd Chungju City Mayor Cup National Rowing Competition, took place at Chungju Tangeum Lake International Rowing Center from the 19th to the 21st of August 2016. In this two-day long rowing competition, UNIST was able to collect 2 Silver medals and 2 Bronze medals with a second place finish at Men’s coxed four, a third place finish at Women’s coxed four, and a second place finish at Men’s coxed scull. and a third place finish at Women’s coxed scull. This competition was attended by amatuer atheletes and student-atheletes from high schools and universities throughout the nation. A total of over 82 teams and 600 participants managed to actually qualify and continute to compete at the natioanl championship. 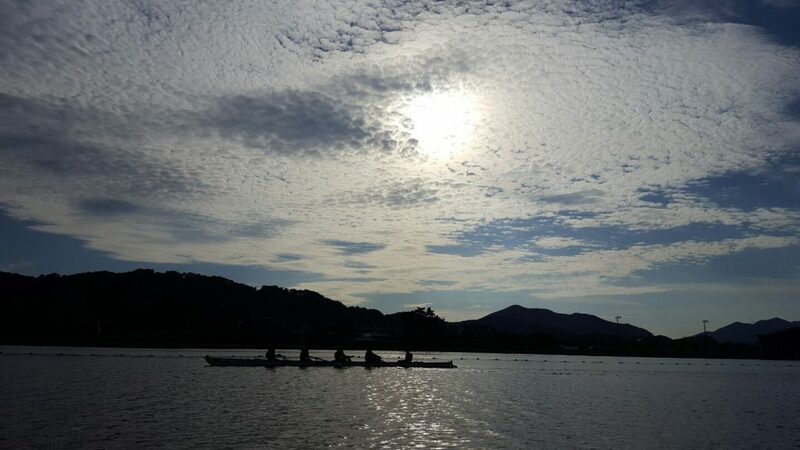 At the 58th National Rowing Championship, took place at Chungju Tangeum Lake International Rowing Center from the 19th to the 21st of August 2016. The UNIST Rowing Club is a registered club sport, affiliated with UNIST. The club consists of students, faculty and staff who love to row, have fun, and get some fantastic exercise. The club was formed in 2013 and currently has 74 members, including 20 faculty members. The club boasts 5 racing boats and 1 rescue boat. The primary objectives of the club are to foster and promote the sport of rowing at all levels. 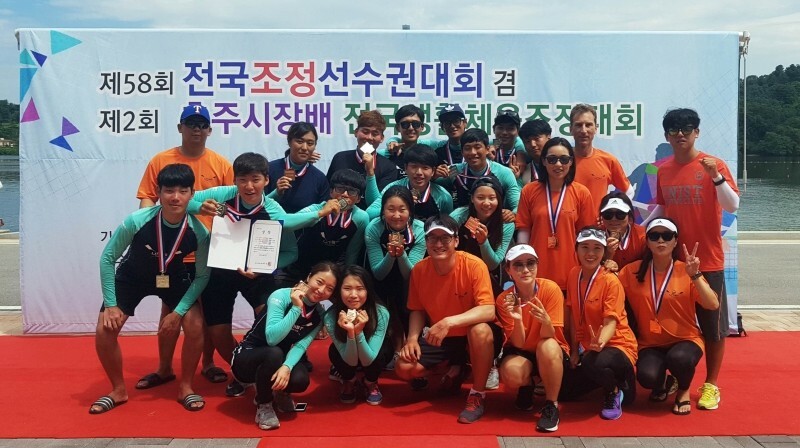 Moreover, the club has won first-place medal with a first place finish in Busan Metropolitan City Mayor Cup National Rowing Competition, last May. This event marked the club’s first competition, since its foundation in 2013.